I use CodeMaid with Visual Studio to do super formatting. By default it removed the last newline from the file. I also use GitHub and if there is no newline at the end of the file, it point that out. The solution is to make CodeMaid leave one newline at the end of the file. In Visual Studio click the “CodeMaid” menu, then “Configuration…”. 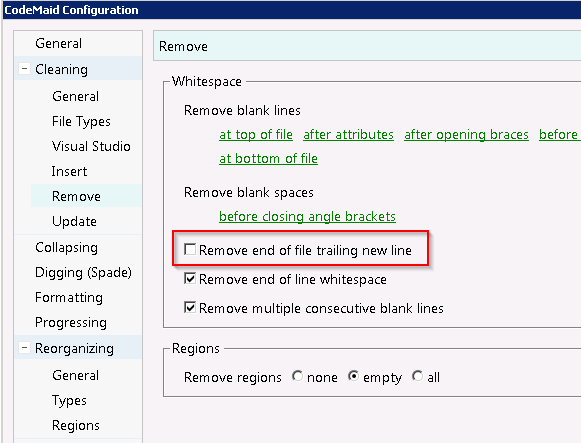 Uncheck the option labeled “Remove end of file trailing new line”.